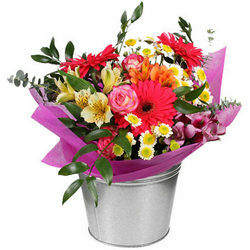 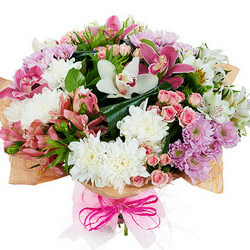 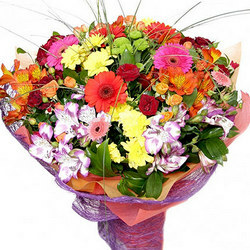 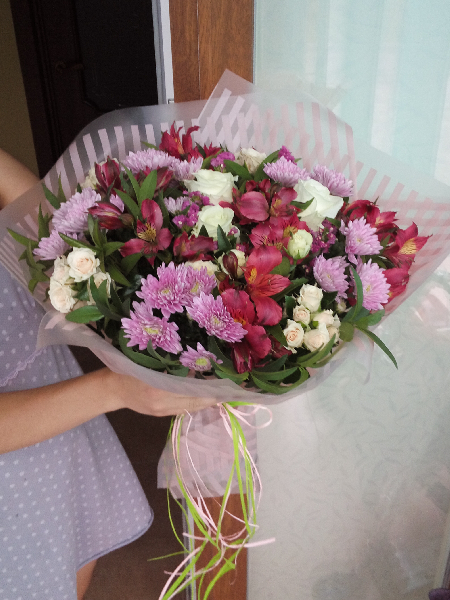 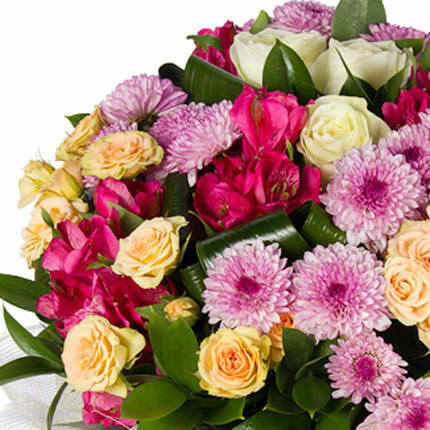 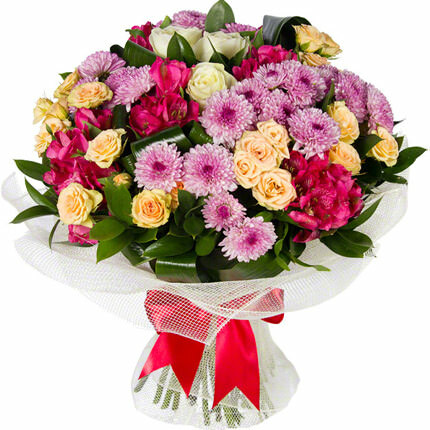 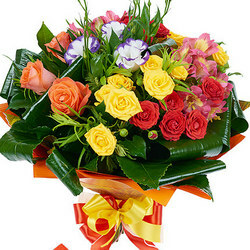 Lovely delicate bouquet for the the most beautiful, charming and attractive! 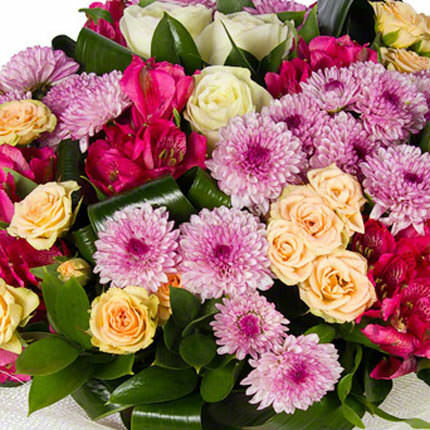 Composition: 5 branches of pink camomile chrysanthemums, 5 branches of spray cream-colour roses, 5 alstroemerias, 3 white roses, greenery, decoration. 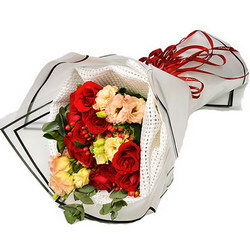 20032019 © Flowers.ua Bouquet "Pretty Woman"